Police searched a residence and garage in Madliena and a farmhouse in Madliena, discovering drugs and drug paraphernalia, weapons, cash, and numerous laptops and car keys. The prosecution asks for the counterfeit banknotes to be examined by the Central Bank. The court upholds the request and orders the Central Bank governor to appoint an official to carry out the examination and report to the court. Mr Azzopardi has pleaded not guilty. Defence lawyer Arthur Azzopardi also requests the court registrar to appear at the next sitting to show a list of pending cases against the two men who supplied information to the police. The case has been adjourned until March 29. Another police officer now takes the stand. He gives a similar testimony about the black Skoda Fabia and the trail of counterfeit notes. Inside the car, he said, were a male driver and a woman in the passenger's seat, soon joined by a third man. Police tracked the car to Għargħur, checking out a number of shops visited by the trio. Shopkeepers described an "elderly looking man, dressed in black" tendering a €100 note. Officers identified themselves as police and collected the suspected counterfeit notes. The witness identifies Azzopardi and the 30-year old woman in court. Next to the stand is a sergeant from the Drugs Squad, who recounts his involvement in Azzopardi's arrest on March 13. He says he saw a man, the 66-year old Abdilla, exit a shop and followed his car - the black Skoda Fabia - to San Ġwann, where the man entered and exited another shop. When police entered, the shopkeeper asked whether they had come because of the €100 he had just received, and which he said seemed fishy. The sergeant says his suspicions were confirmed, and he followed the suspect's trail, checking for other counterfeit currency at the shops he visited. Before stepping off the stand at the end of his testimony, Inspector Mark Anthony Mercieca is cross-examined over the 30-year old woman's case. He is asked babout the key found in her possession and the search warrant. On Azzopardi's case, he is asked about the credibility of the two male witnesses who had given information. The inspector says one of the men had been investigated over drug related charges. The police inspector provides some more details about the counterfeiting side of Azzopardi's activities. Mario Abdilla, the third man police had spotted in Azzopardi's car, told police Azzopardi would get him to 'cash' €100 notes, giving him €10 in return. The two would meet at McDonald's car park in Għargħur. However, it emerged at the arraignment on Friday that Abdilla had ended up empty-handed. Upon exiting the shops after spending the fake notes, Abdilla would hand cash to the woman who was waiting for his return in the car. Abdilla was arraigned with the other two on Friday, admitted, and was jailed. 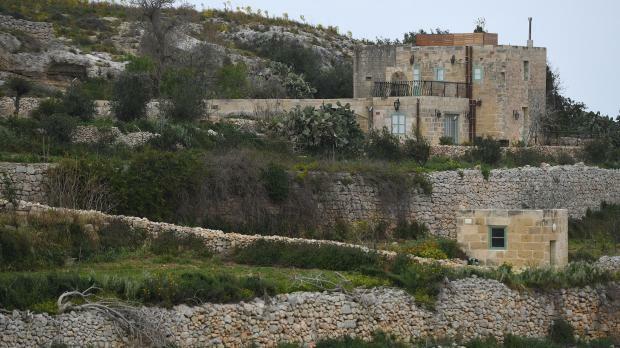 After searching a house in Madliena and garage nearby, the police inspector testifies, Azzopardi was told the police wanted to search a farmhouse in San Martin, and asked to speak to a lawyer. That day, he had a slight accident at the police headquarters when he slipped down some stairs and was taken to hospital for treatment, the inspector says. Police went to the farmhouse with Azzopardi the next day. He indicated the key to the door. Police cars had been patrolling the villa since morning. Inside were several car keys, bullets, cannabis grinders, and a loaded firearm inside a bedroom cabinet. Also inside were five laptops and an extra passport, spoons with a whitish substance and other drug paraphernalia. After the search Azzopardi was conducted back to the police lockup where he spoke to his lawyers. The police inspector is now describing the arrest of Azzopardi and two suspected accomplices. The 30-year old woman was arrested at a Madliena residence, while Azzopardi attempted to flee before being captured at a McDonalds car park in Għargħur. The woman refused to cooperate, the police inspector says. A key in her possession opened the Madliena premises. On Azzopardi's person, police found two mobiles, two suspected cannabis joints and eight keys in separate bunches. A search of the house also yielded cannabis buds, an amount of cash, keys to two cars, a knuckle-duster and several laptops. 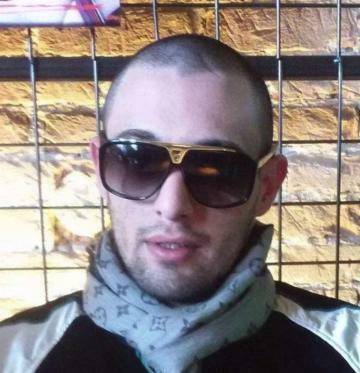 The search continued on to a garage in the vicinity, also owned by Azzopardi. Shadowing of Jordan Azzopardi revealed he was using a black Skoda, with a woman in the passenger seat. A third person, 66-year-old Mario Abdilla, would often enter shops in the Sliema area, paying for small purchases with a fake €100 note. Inspector Mark Anthony Mercieca testifies that the trafficking-houses were equipped with stone barricades, acid tanks and CCTV. Acid was used to dispose of the drugs to prevent discovery by police. According to one arrested man, Jordan Azzopardi was allegedly violent against his workers and users. Police began surveillance on Azzopardi directly. Inspector Mark Anthony Mercieca is the first to testify. Over the past months, he says, police received information that Jordan Azzopardi was trafficking drugs from various locations. Surveillance operations kicked off and police carried out their first raid in October in Birkirkara, followed by another raid at Savoy Gardens, Gżira. One man arrested indicated Azzopardi as his supplier. Further raids were carried out in Balzan, Marsa, Gżira and Pietà, leading to the identification of Azzopardi as the mastermind behind the trafficking and the setting-up of the various operations. Jordan Azzopardi has been escorted from the lock-up and is brought into court, smartly dressed in a blue suit. Seated at the other end of the dock is the 30-year old mother-of-five, whose name cannot be published, also arraigned last Friday in relation to the same case. Magistrate Doreen Clarke is presiding. Lawyers Alfred Abela and Rene Darmanin are appearing for the accused. Lawyer Arthur Azzopardi is representing Mr Azzopardi. Jordan Azzopardi, 29, from Madliena, who stated that he worked in the waste sector, has pleaded not guilty to a multitude of charges ranging from trafficking and aggravated possession of cocaine, heroin and cannabis to criminal conspiracy and circulation of fake cash. He is also charged with defrauding three shops in San Ġwann and Sliema, having an unlicensed weapon, making threats and hurting a third party and also breach of bail. He was one of three, including a 30-year old mother of five, arrested during police raids in Madliena and St Paul’s Bay over two days last week. He did not request bail. The sitting is scheduled to begin shortly.